The Pentagon is planning to apply for $ 1.2 billion to buy 12 Boeing F-15X fighter jets, the most recent version of the legendary Eagle. This request will be included in the budget for the fiscal year 2020 which will be presented on February 4. According to an anonymous Department of Defense official, the request to buy the new Boeing's aircraft was not forwarded by the USAF, but comes from the Pentagon. The advanced Eagle should replace the F-15C of the Air National Guard. This assessment is in disagreement with the previous statement by Air Force Secretary Heather Wilson who said the USAF had no interest in buying fourth-generation platform as it preferred to expand the fleet of fifth-generation aircraft. The iedea of the U.S. defense is to have a well-balanced fleet between fourth and fifth generation fighter jets, while currently there is a predominance of the old type. However, the new F-15 variant boasts respectable features. It includes a flat-panel glass cockpit, JHMCS II helmet mounted display (HMD), revised internal wing structure, fly-by-wire controls, APG-82 AESA radar, activation of outer wing stations one and nine, advanced mission computer, low-profile heads-up display, updated radio and satellite communications, the highly advanced Eagle Passive Active Warning Survivability System (EPAWSS) electronic warfare and electronic surveillance suite, Legion Pod-mounted infrared search and track system (IRST) and much more. 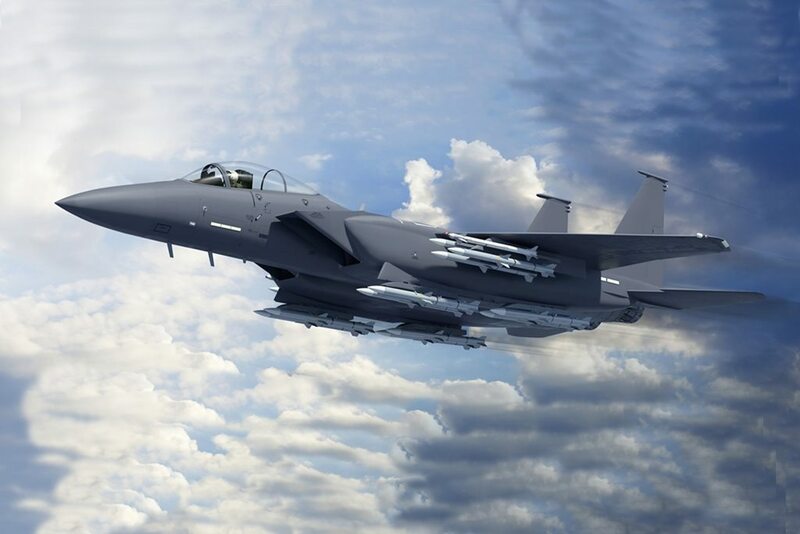 The F-15X will be able to carry a whopping 22 air-to-air missiles during a single sortie. Alternatively, it could fly with eight air-to-air missiles and 28 Small Diameter Bombs (SDBs), or up to seven 2,000lb bombs and eight air-to-air missiles.